Stop printing paper “just” for the signature! 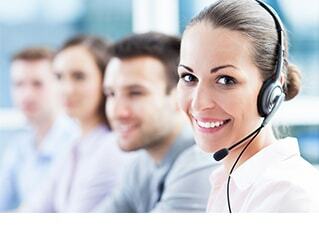 Lower your costs, speed up your processing-time and prevent abuse absolute reliable. 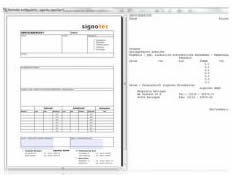 With „signoSign/2“ you are able to create and sign PDF-documents with your own handwritten signature. As an input device for the handwritten signature you can use our Sign-Pads, a Windows Tablet-PC or an iPhone. 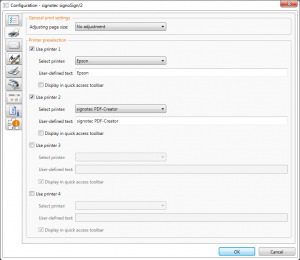 The solution is thinkable easy: Just print out of your application via the signotec PDF-Creator. 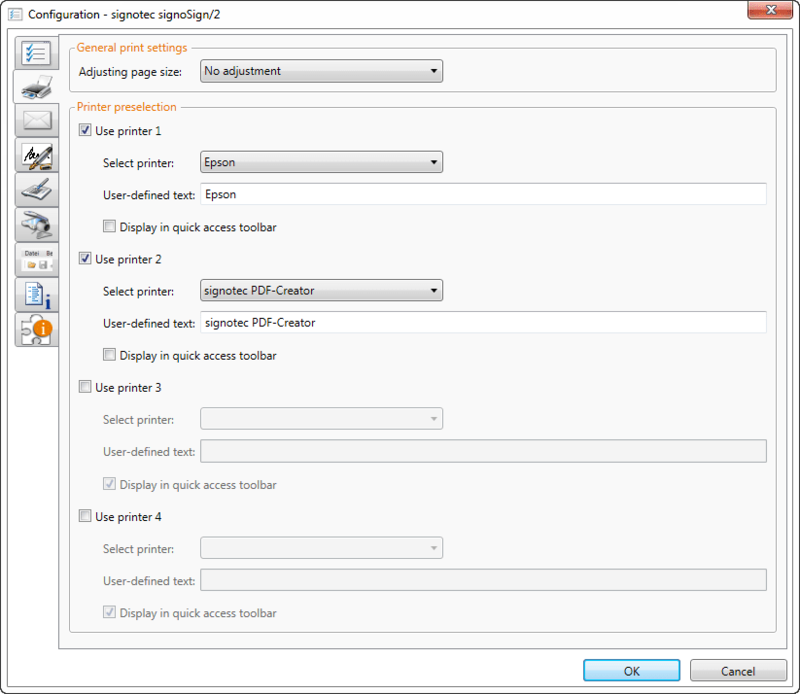 A PDF is going to be generated and automatically been offered to be signed in signoSign/2. Define as many document types as you like. 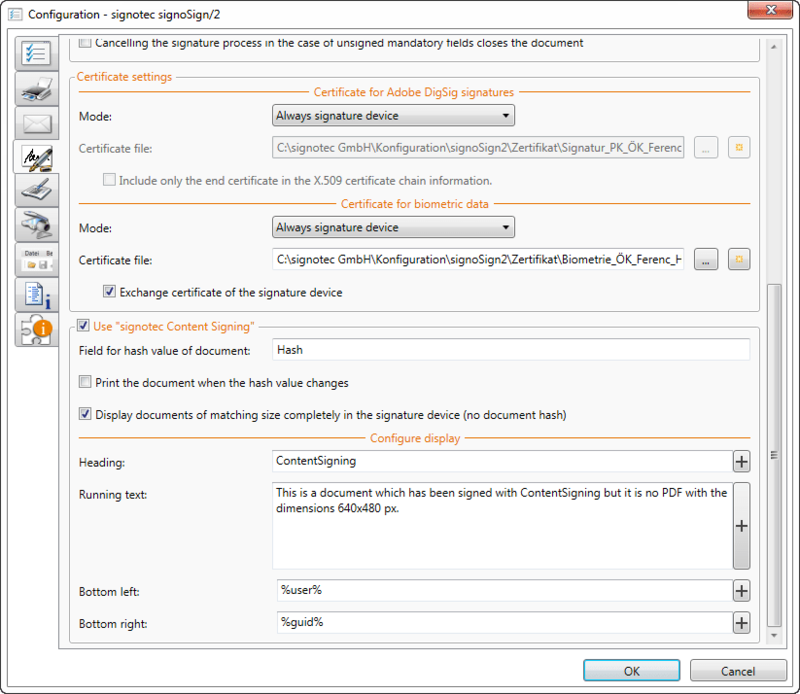 signoSign/2 recognizes the position of the signatures automatically. 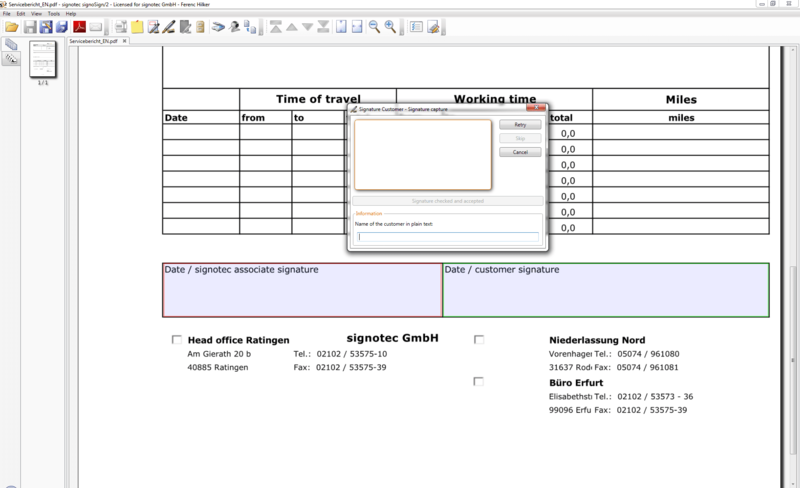 Define specific attributes for the signature field or let defined documents be displayed on the pad before signing. signoSign/2 supports a wide range of languages. You can define multiple printers. Documents can be printed automatically on the specified printers. 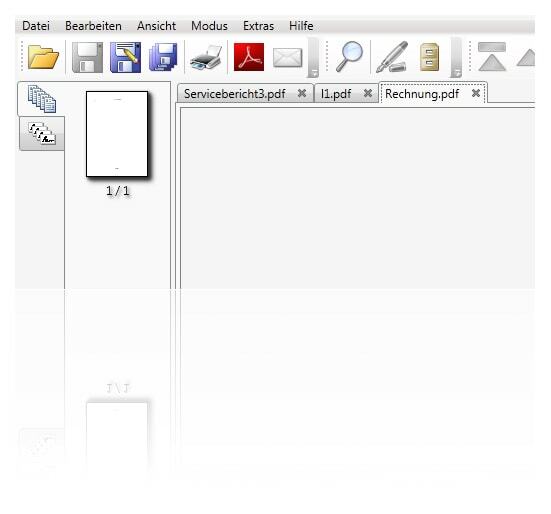 Creating different document types is simple and very user-friendly. The applica-tion uses document types to identify subsequent documents according to your specified criteria. 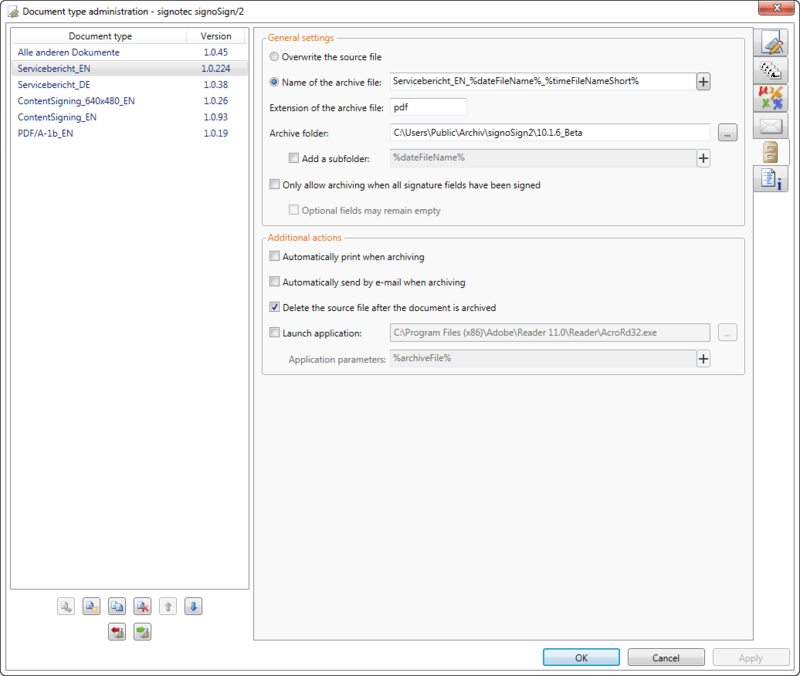 Defining signature fields and index criteria is made easy by the “Document Ad-ministration” window. 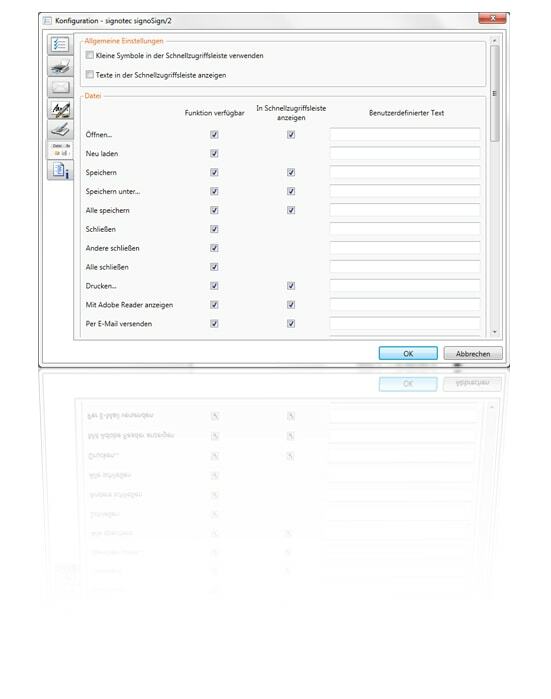 Here, you can specify the signature positions and index criteria for every document that is to be signed electronically. Important: The signature positions are not defined via constant coordinates but dynamically via texts contained in the document! The signature positions are simply selected by highlighting the corresponding words, such as “Customer signature”. It makes no difference if this text gets shifted by other contents of the document, or if it appears on different pages (as it would, e.g., in consultation minutes). 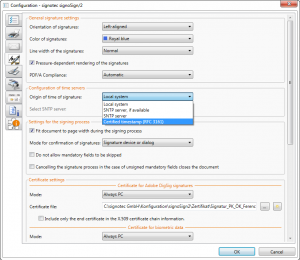 signoSign/2 lets you automatically inte-grate the signed documents into your processes. Without requiring any further time or input, the documents can later be forwarded to recipients specified by you in advance. 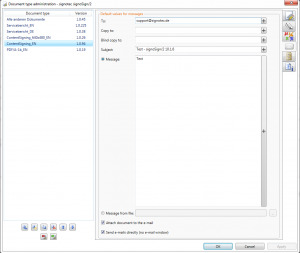 The email address and other contents required for the message can be extracted from the document. 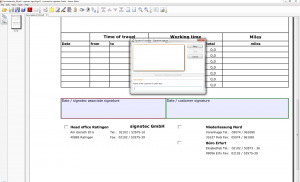 Index data is data that is required for automated downstream processing. This data may be contained in the file name or it may be provided as a separate index file. This could be an order slip number, service report number, request number, account or customer number, document type, name, etc. Sometimes, a work-flow step will require you to open several documents at the same time. In si-gnoSign/2, even complex workflow processes can be displayed simply and transparently. 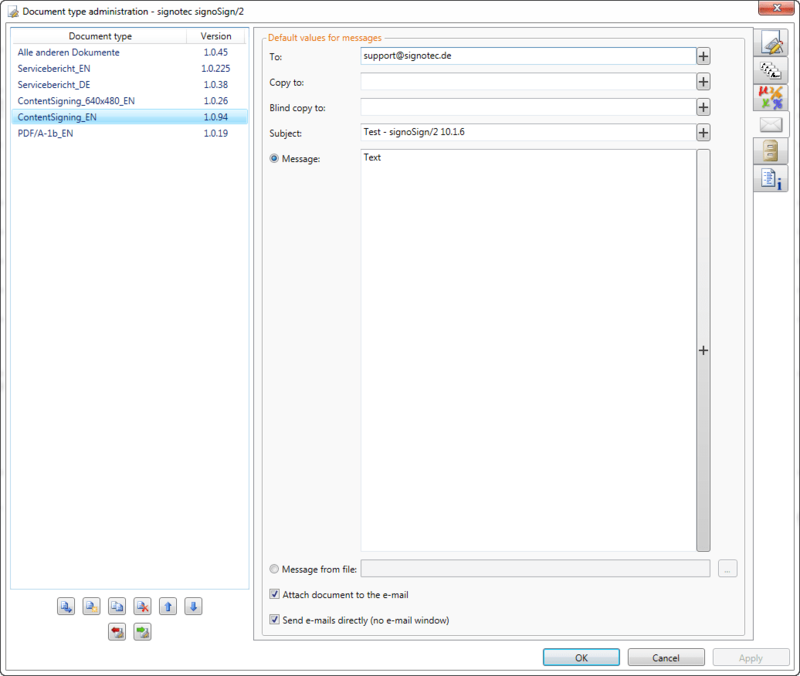 You have the option to archive your signed document in a predefined directory with a unique file name. 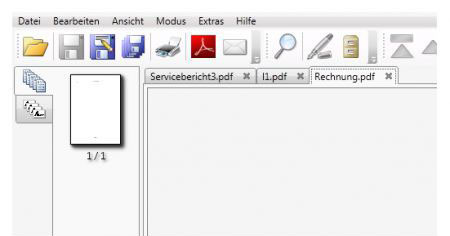 Alternatively the original file can be overwritten, if you already have a PDF-document. In addition you can transfer the document to an external application, which will offer you many possibilities. With Content Signing, the RSA-features of the Signature-Pad Omega are going to be used. The advantage is that the content oft he screen is signed, so an external manipulation is impossible. 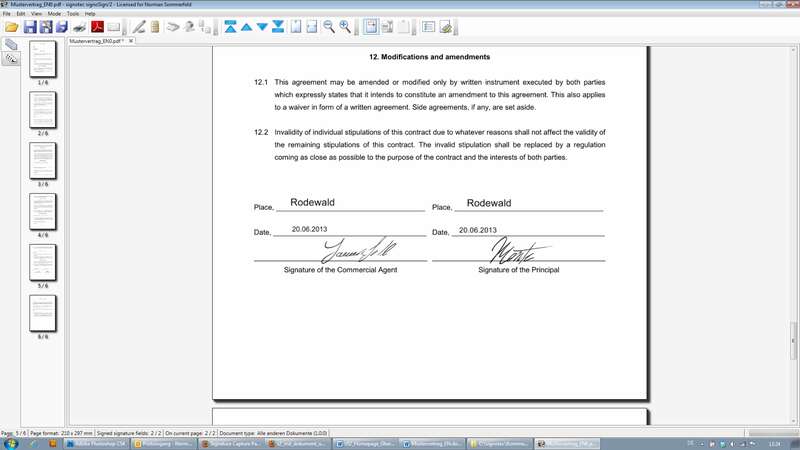 A hash value is going to be displayed on the screen, whereby the signee can make sure he is signing the document on hand. 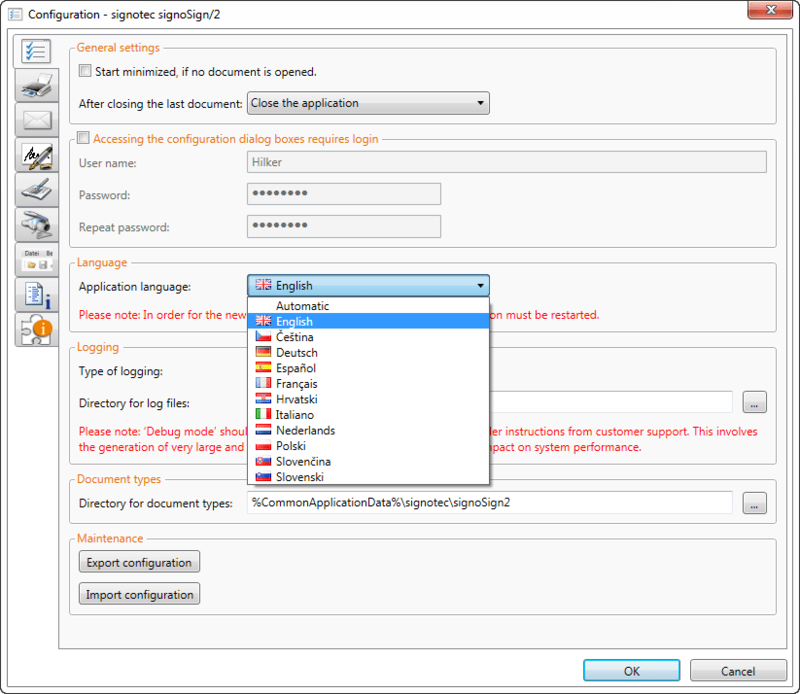 signoSign/2 offers the option to insert a certificated timestamp. Thereby a third instance is confirming, that the signature was provided exaxtly at this moment. Additionally, the complete configuration can be exported / imported for further installations. 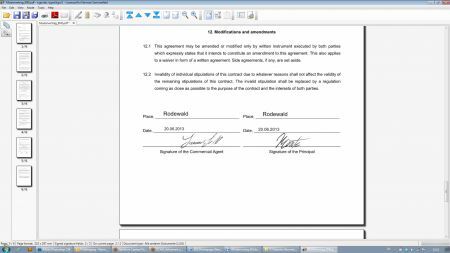 Confirmation texts can be displayed before signing, signatures can be saved as graphics, index-files can be created, pages can be added via a webcam or scanner and so much more. We recommend the LCD-Signature Pads "Sigma"and "Omega". 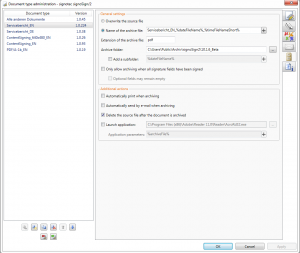 The software supports asynchronous keys (RSA) for encrypting biometric data and the document HASH. 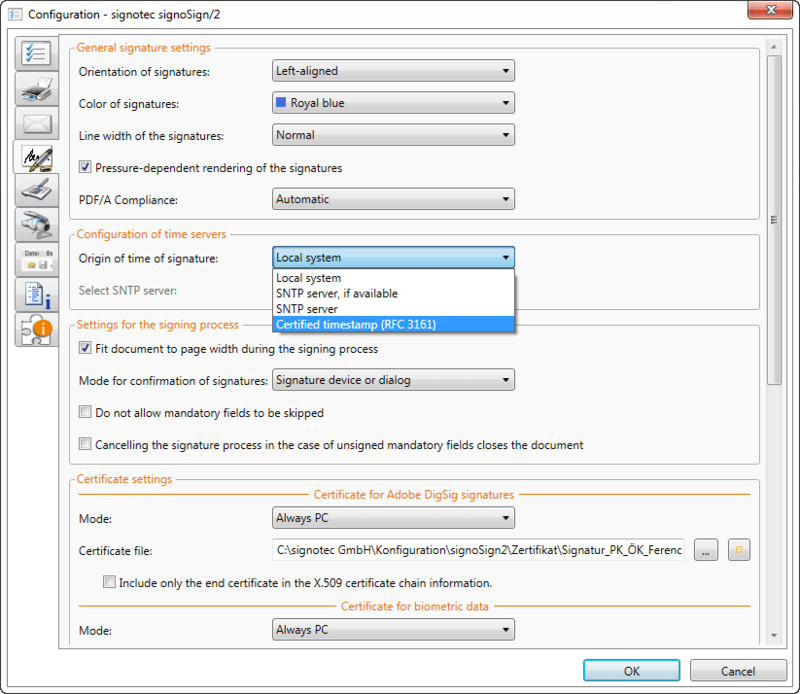 In case of an Acrobat-compliant signature, the certificate can be selected globally or individually for each signature position. 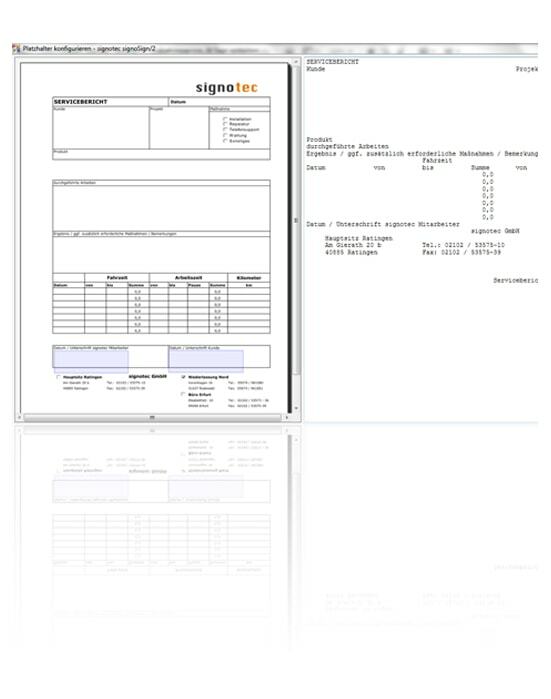 The data transfer between signotec’s “Sigma” and “Omega” signature pads and the computer is encrypted. Surveillance of the signature’s forensic / bi-ometric data is not possible. For encryption and for the creation of HASH values, only the latest encryp-tion algorithms recommended by the Federal German Network Agency are used. During signing, characteristic information of the signature, like writing speed and pressure are going to be safely stored in the document, which later on can be evaluated analog like a handwritten signature by a handwriting expert. The transfer of data from the signotec-pads to the PC is encrypted, due to that it’s impossible to spy on the biometric characteristics. The biometrics could be encrypted inside the pad using an RSA public key. After the confirmation, the document signed with signoSign/2 is going to be archived automatically and is retrievable at any time. The input and output management via XML-documents makes it easier, to tether the application to existing systems. Like this the system is for example deployable in the insurance business for application forms, in the industry for service reports and in banks for the signing of deposit receipts. In the medical business, medical reports are digitally ascertainable, the trade is using the signotec solution multiple for POS-transactions.